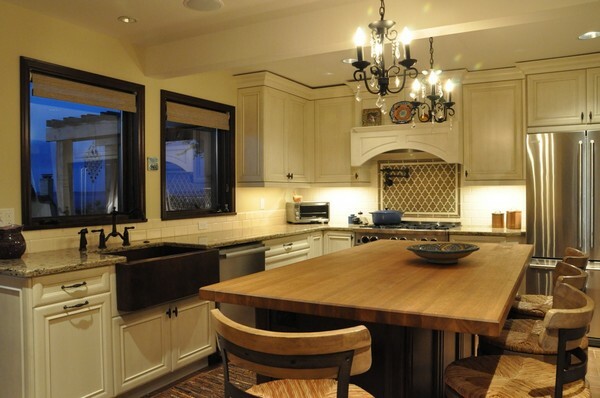 The kitchen is as important a room as any when it comes to design and decorating. 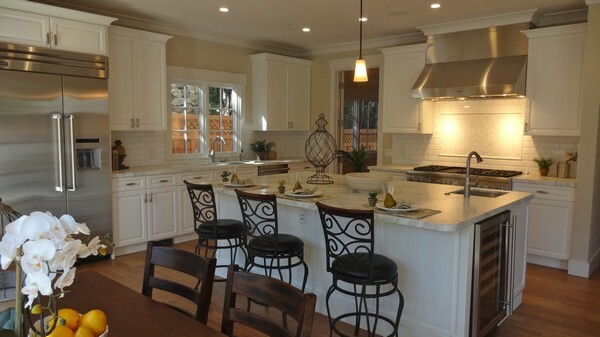 When designing and decorating your kitchen, you should always aim for a look that is warm and welcoming. 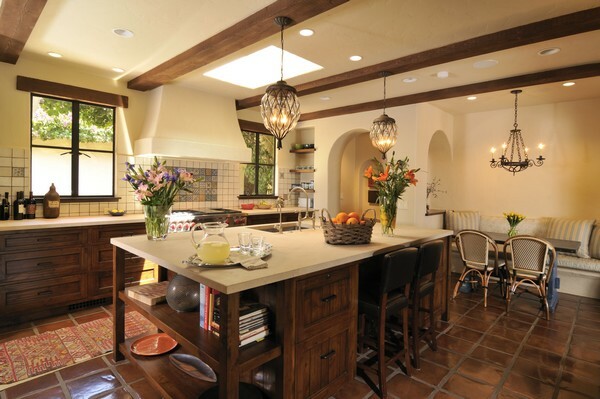 Adopting a Spanish style design affords you the ability to get the warm and welcoming look without trying too hard with the décor.Here is some great advice on how you can achieve a warm and beautiful kitchen with a Spanish style design. 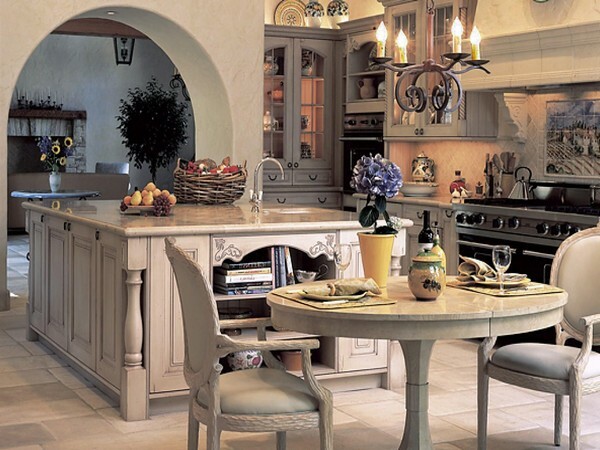 Spanish style kitchens make use of white walls, mainly because the white walls give the room a bright, alluring look. 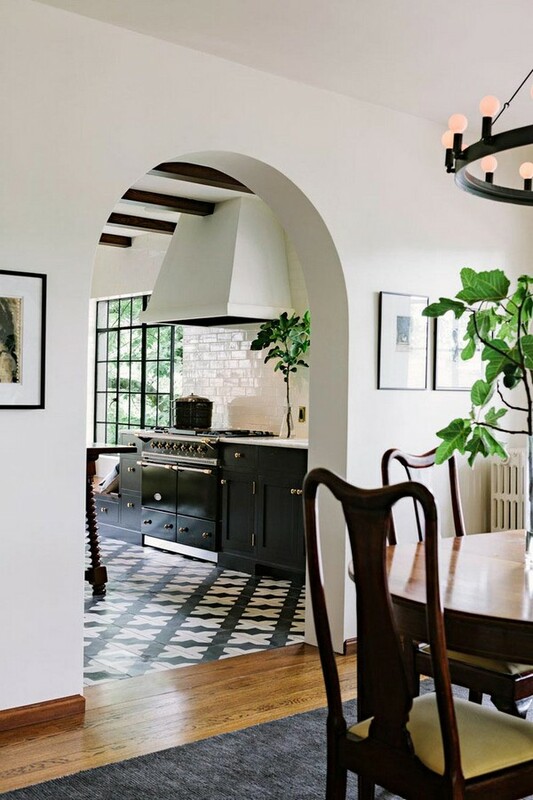 In this Spanish style kitchen, for instance, the walls are white, with white subway tile backsplash. Here are some other backsplash ideas you may love. 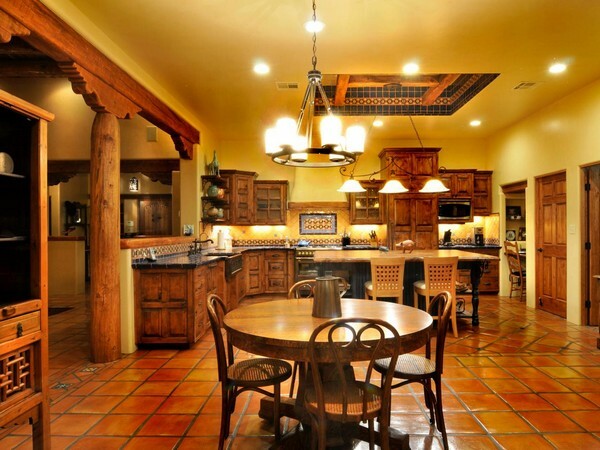 Another common feature of Spanish style kitchens is that they usually spot high ceilings, like in this kitchen. The high ceiling creates an airy and spacious feeling in the room, making it more comfortable. 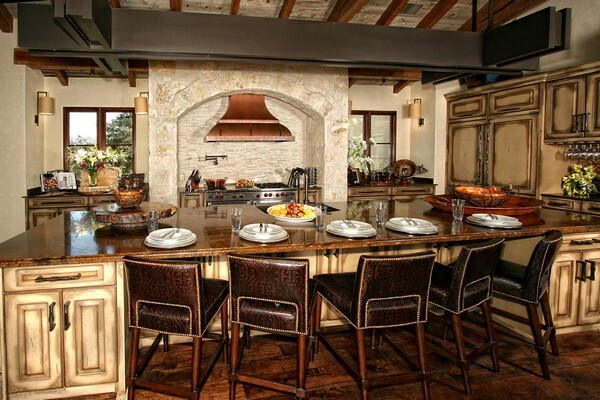 This kitchen is a good example of how a Spanish style design can be merged with a contemporary design. 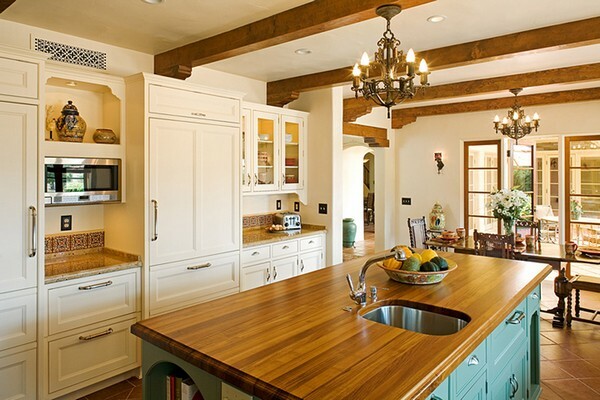 This kitchen also incorporates another common element of Spanish style kitchens, a column. 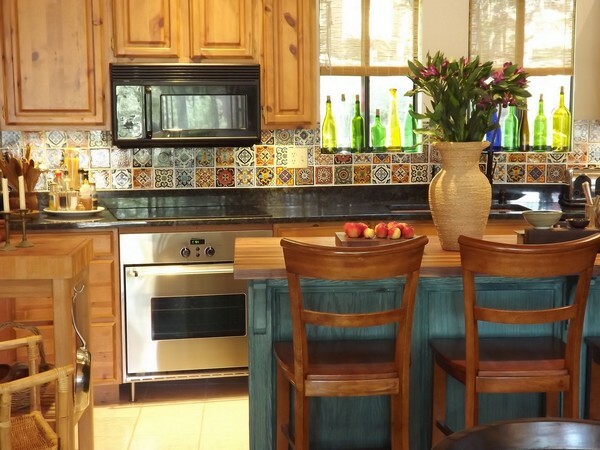 Add elaborately hand-painted tile to your kitchen design and you will be one step closer to achieving the perfect Spanish style kitchen design. 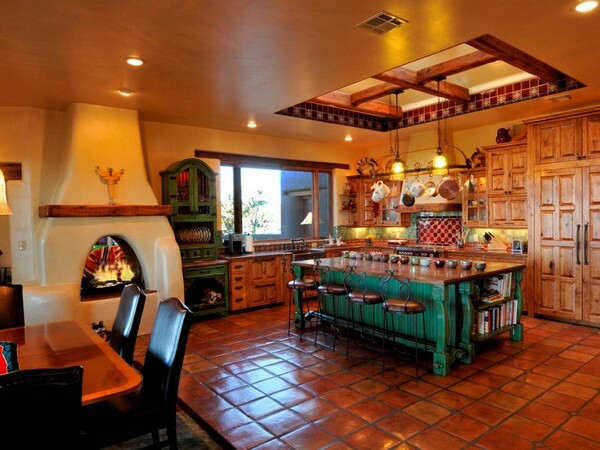 As you may have noticed already, the Spanish style kitchen design is a lot like the rustic kitchen design. 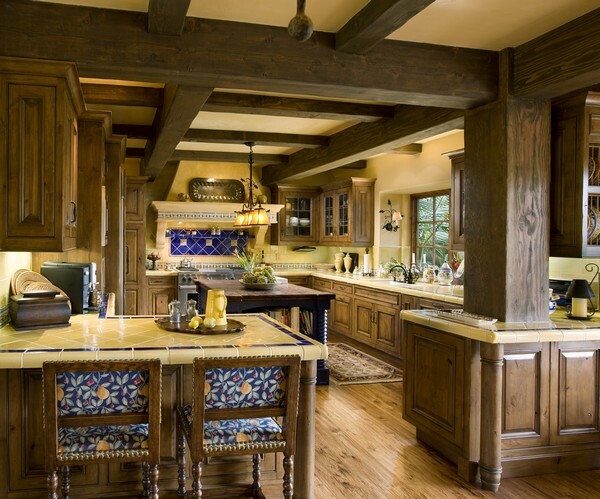 From the heavy use of stone surfaces to stone columns, wrought iron, bronze and wooden ceiling beams, these designs are more or less the same. 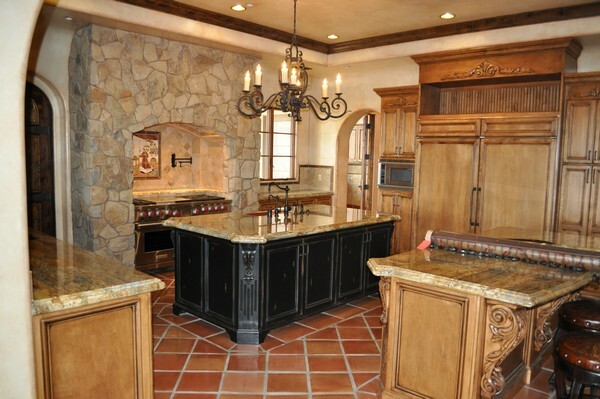 A Spanish style kitchen is not complete without a wooden island with a stone countertop and cabinets with decorative finishes. 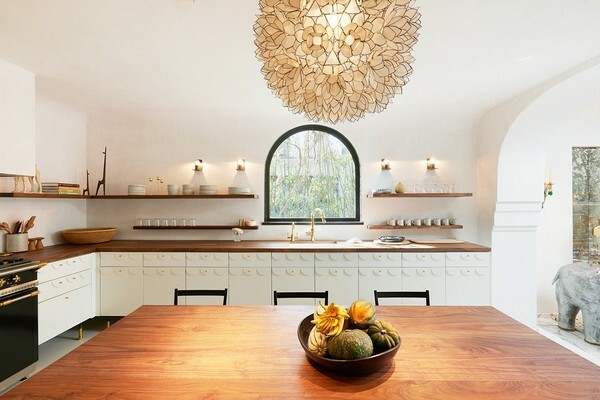 This kitchen combines both these elements beautifully. 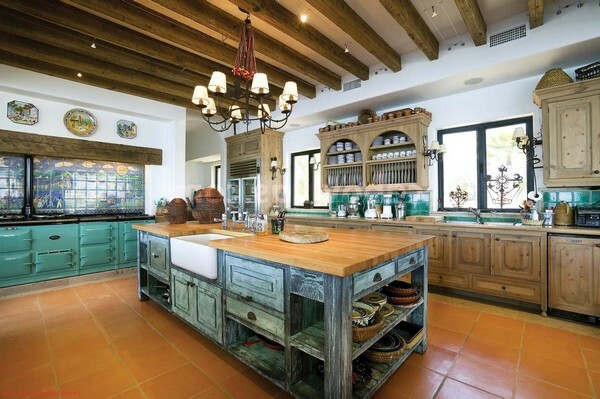 The two islands have wooden stands (another element of Spanish style kitchens) and are fitted with cabinets with decorative finishes. 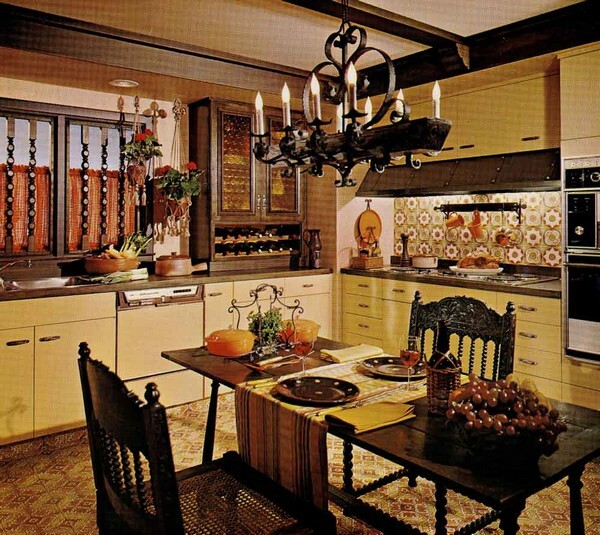 The white wall cabinets also spot some decorative elements. 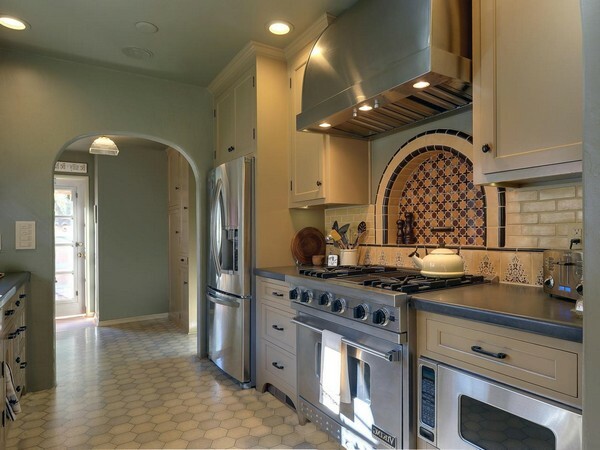 A Spanish-style kitchen design is supposed to be reminiscent of antique design. 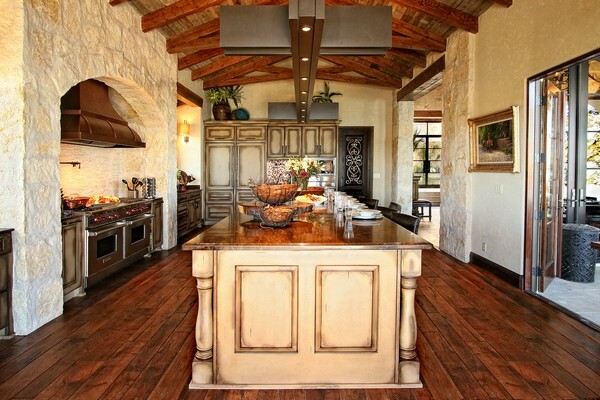 Any décor pieces that introduce an antique touch are highly compatible in a Spanish style kitchen design. 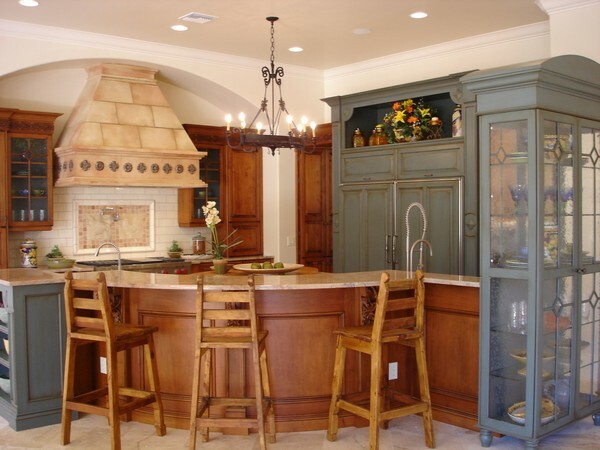 Wrought iron and bronze surfaces and lighting fixtures are good at introducing an antique charm. 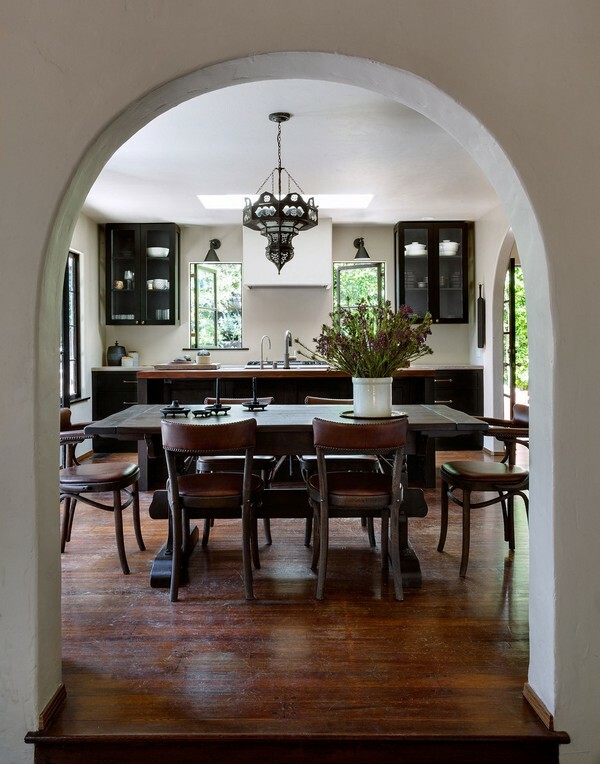 Another essential design element that is characteristic of Spanish style kitchens is the use of arched doors and windows. 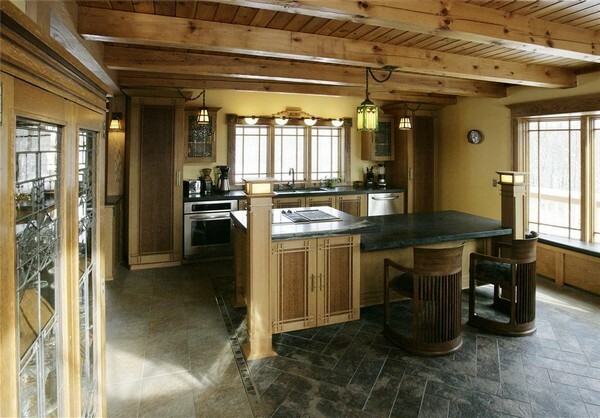 In this kitchen, for instance, a large arched doorway leads to the kitchen.